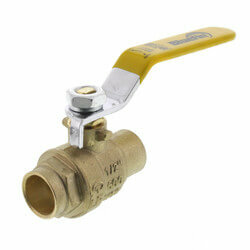 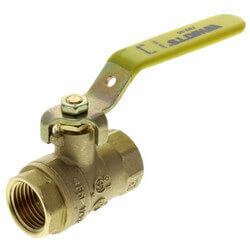 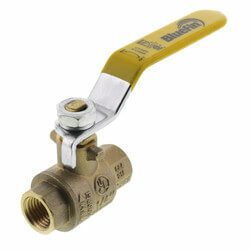 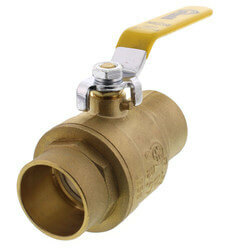 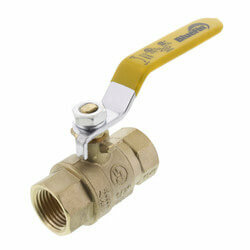 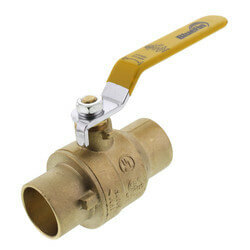 A ball valve is commonly used as a shutoff device for water, gas, or oil in Plumbing and Heating Systems. 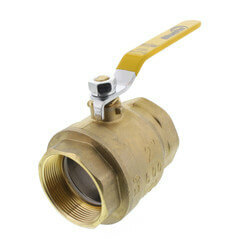 The name Ball Valve derives from a sphere or "ball" strategically placed in the passageway of the valve through which fluid flows. 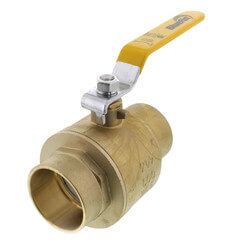 The ball has a hole through it, by which the valve opens and closes. 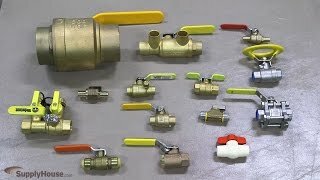 How does a Ball Valve work? 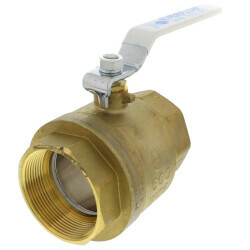 When the ball valve is open, the ball is positioned so that the hole runs in the same direction as the passageway, allowing fluid to flow through the hole. When it is closed, the ball is positioned so that the hole is perpendicular to the passageway, thus obstructing fluid from flowing through. 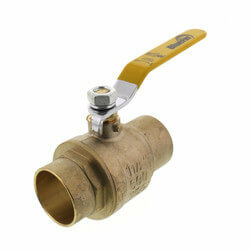 The ball's position is controlled by a handle that can be turned 90 degrees, or a quarter turn. 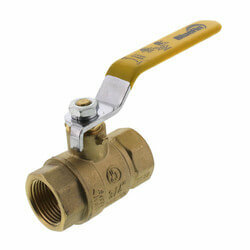 Turning the handle 90 degrees allows one to open and close the valve. 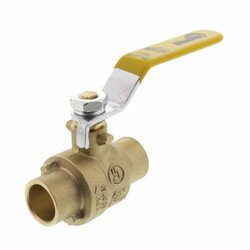 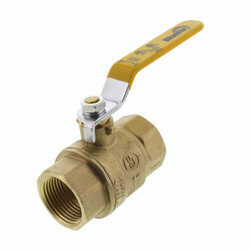 The handle and the valve's position are always in line, allowing one to easily see the valve's position. 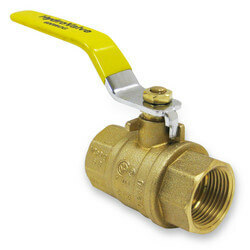 There are many variations of ball valves, each differing in pressure and flow restrictions. 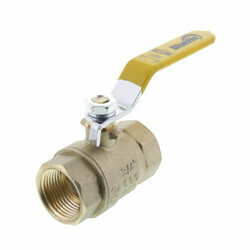 The most commonly used ball valves are Full Port Ball Valves. 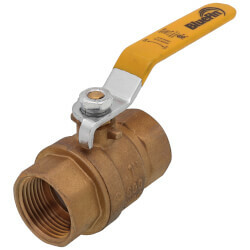 These types of ball valves have an oversized ball, and the hole within the ball is the same size as the pipe to which the ball valve is connected. This combination allows for little friction loss and unrestricted flow. 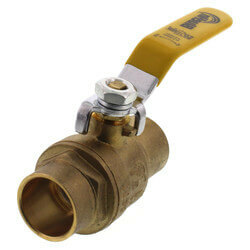 Ball valves are durable and typically work to achieve perfect shutoff, even after years of use. 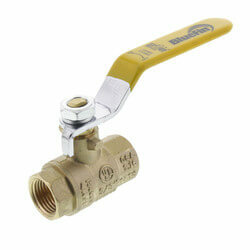 For this reason, they are the preferred choice for shutoff applications. 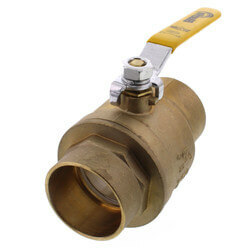 Although they do not offer the fine control that may be necessary in throttling applications, they are sometimes used for this purpose as well. 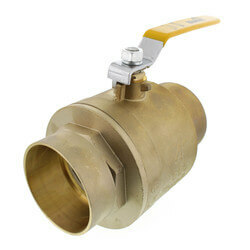 Webstone is known for their unique bleeder (drain) ball valves. 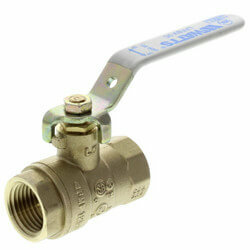 These bleeder ball valves are practical in situations where there is air pressure buildup in water lines. 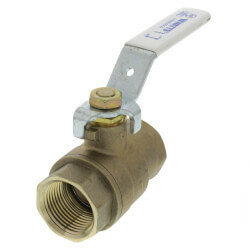 The bleeder allows for excess air pressure to escape the system, which consequently prevents leaks in the plumbing system. 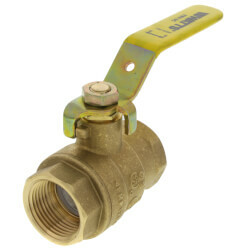 Ball valves are available in two standard connection types: female threaded (IPS) or sweat (CxC). 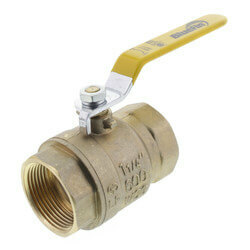 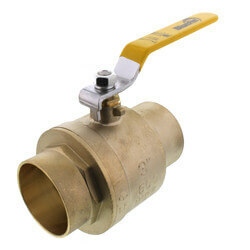 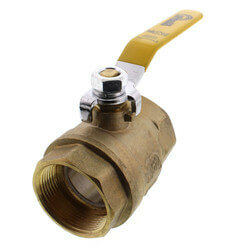 1/2" and 3/4" ball valves are the most common sizes sold on our website, however sizes are available from 1/4" to 4".